Have a close look at our mystery object. You may have seen this object at our 2007 exhibition in the old Berowra School building now the Berowra District Hall. Have you seen another object like this, perhaps in better condition than ours? What is our mystery object and what was it used for in earlier times? If it is way out of your experience what is your “educated guess” for its name and function? Do leave a comment and share your ideas online. All will be revealed in next week’s blog! 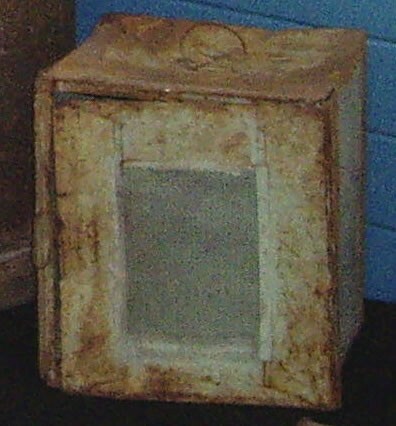 We think it is an icebox, but it seems to be missing the bottom part, where the ice would go/drip to.